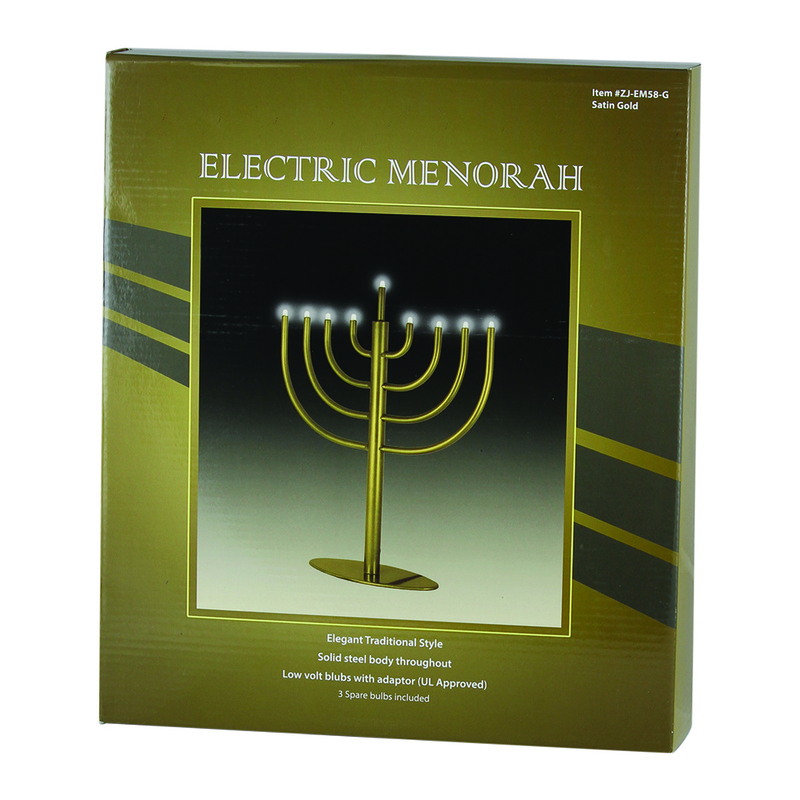 A truly classic traditional electric Menorah, perfect for the home or business. Solid steel structure, built to last. 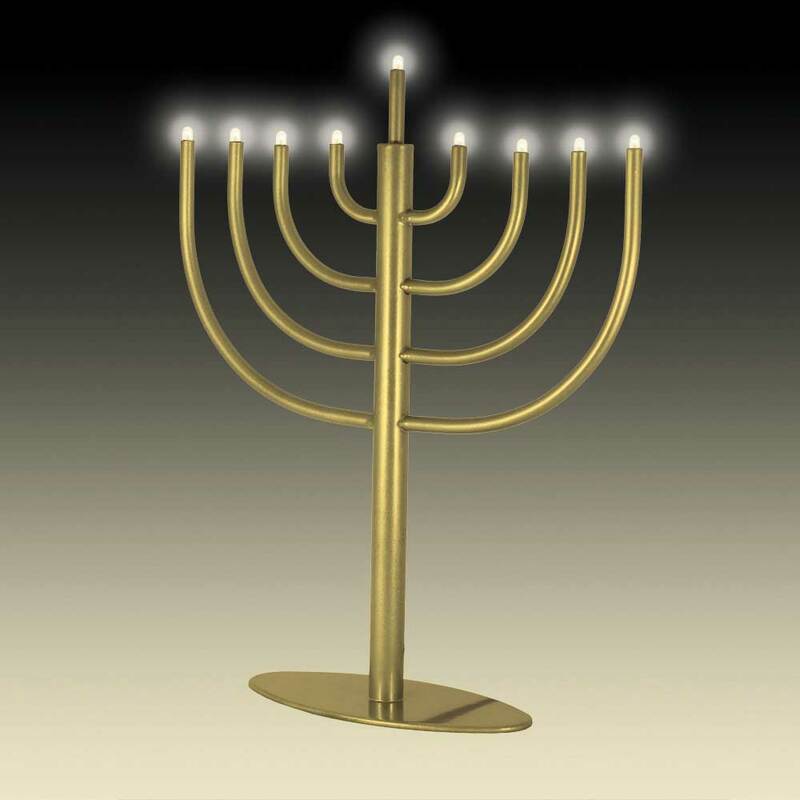 A Zion Judaica Product. Low volt clear bulbs included plus 3 spare. Convenient on/off switch on the cord. Wide base with non-slip bottom plate. Measures 13.5" High x 11" Wide.